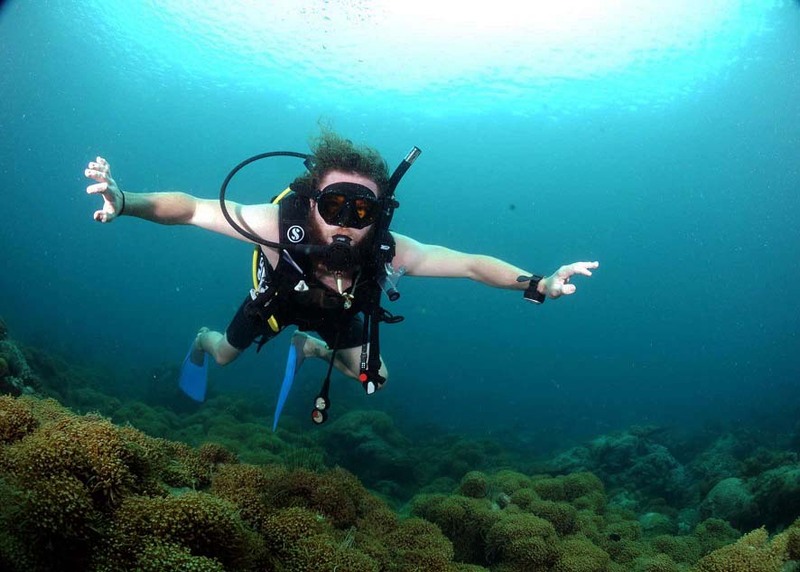 Discover Scuba Diving is a quick and easy introduction to what it takes to explore the underwater world. When can you do it? In most cases when it suits you. Call or email us to book your time. We will normally start in the morning with a short introduction to dive theory and after that we dip into the calm confined water of our lagoon. 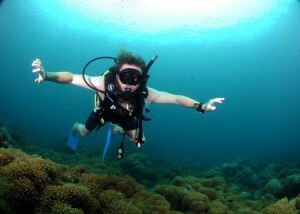 There we will go through skills necessary to dive safely. After our skill training we will take a little break for lunch and refreshment before we head out for the real adventure. A long dive along our house reef to see all the different critters surrounding the beautiful corals . A typical DSD starts 9 am and finishes around 2 pm, but the schedule might vary. Price: $95 including PADI Discover Scuba Diving booklet, full rental equipment, coffee, tea, soft drinks, lunch, snacks and of course all the training. Book your Discover Scuba Diving experience today by sending us an email or calling us.